سواءً كنت مسافراً بغرض السياحة أو العمل, Port Stephens Motel هو خيار عظيم للإقامة خلال زيارتك بورت ستيفنس. يمكن من هنا للضيوف الاستمتاع بسهولة الوصول إلى كل ما تقدمه هذه المدينة النابضة بالحياة. يوفر الفندق بفضل موقعة الجيد وصولاً سهلاً إلى أهم معالم المدينة.
. إن الخدمات الممتازة وحسن الضيافة العالي في Port Stephens Motel تجعل إقامتك تجربة لا تنسى. يمكن الاستمتاع بمجموعة من الخدمات على أعلى المستويات في الفندق كمثل واي فاي مجاني في جميع الغرف, تخزين الأمتعة, واي فاي في المناطق العامة, صف السيارات, مرافق للشواء. تنعكس أجواء Port Stephens Motel في غرف الضيوف.تلفزيون بشاشة مسطحة, اتصال لاسلكي بالإنترنت, اتصال لاسلكي بشبكة الإنترنت (مجاني), مكيف هواء, تدفئة هي بعض الميزات الموجود في العديد من الغرف. كما أن مجموعة الخدمات الواسعة الموجودة في الفندق لضمان راحتك تترك لك الكثير من الخيارات لقضاء وقتك أثناء فترة إقامتك. إن Port Stephens Motel هو خيار ذكي بالنسبة للمسافرين إلى بورت ستيفنس، بما يوفره من إقامة هادئة ومرحة. Helpful staff and quiet accommodation. Safe parking for your vehicle. 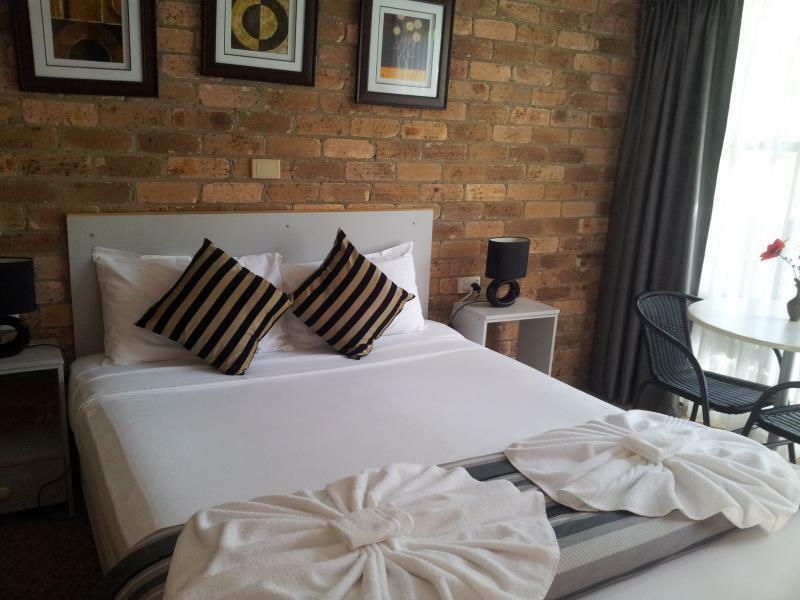 Clean and tidy rooms, I would book again. We enjoyed our stayat this place. The guy at the reception was one of the nicest people I’ve ever met. He was super friendly and extremely willing to help at any situation. We seriously can’t thank him enough for all his help during our stay. For being a motel this place was really nice. Room was a little on the small side but never the less, functional and location was fantastic. Clean and overall well maintained motel just 5 minutes from harbour and restaurants. Free parking under roof. The swimming pool was not well cared unfortunately, but overall a good stay. Port Stephens Motel was well stocked with all common amenities, crockery, microwave oven, fridge for your needs during your stay. Beds were clean and comfy, and wifi was provided free. Cars could be parked beneath your rooms for free and owner was a friendly and inviting bloke who greeted us during check-in and when we were driving off after check out. Location was a 5min walking distance from the port where you can catch a 1.5hr dolphin watch cruise. Additional necessities could be bought easily at Woolsworth/Coles located a short 8min drive away. All-in-all, its a great place to stay and highly recommended! Good location, a great choice for family with 1 baby. You can walk to the dock within 10mins. Excellent, we would stay again. mattress was dreadful, but other than that it was all good. Our stay in Port Stephens Motor Lodge was great. It is not a high end Motel by all means and you get what you pay for. A little more dusting could have helped and an update on the fake decorative flowers but apart from that the room, bathroom and all the bits'n'pieces in the room we very adequate. We would stay there again for a weekend. My stay at Port Stephens Motor Lodge was very nice. The accommodation was excellent, the staff where very nice and helpful. The location of the motor lodge is excellent, only a short walk to the marina which has some lovely Restuarants, would stay here again. Ample car park, friendly staff, centrally located. 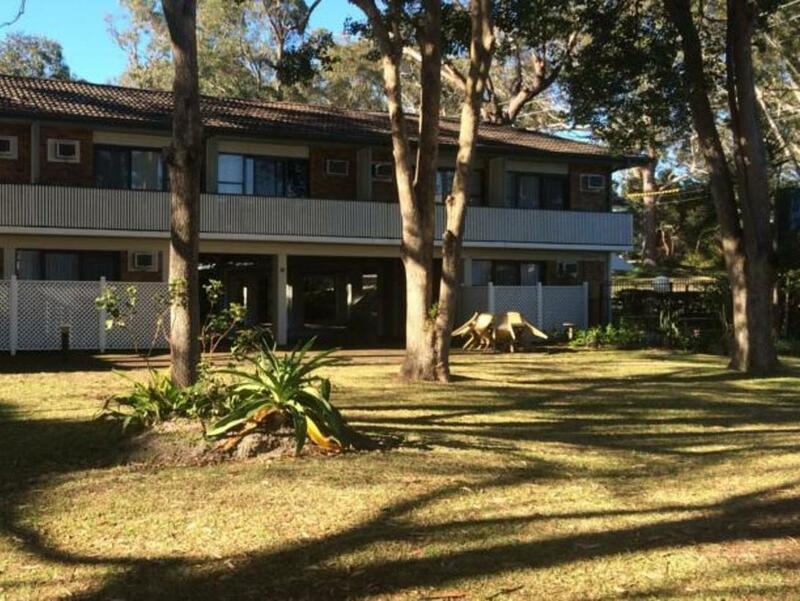 Walking distance to the Nelson bay marina area. Many restaurants around the marina area. Friendly owner. Friendly owner. Rooms are a bit small though. Location was good. Close to the marina area with many restaurants. It was great as we received a complimentary room from the motel. At first when we booked the room, the max occupancy is 4 and we have 5 in our group. I was thinking to request for an extra bed so that the room can fit 5 of us. Unfortunately the room has a double + single bed which can only fit 3 of us. The owner (which i guessed he is) of the motel gave us another room next door which allowed us to rest well, he is very generous and kind, and of course friendly all the time. It was my bad for not choosing the correct room however we appreciate his understanding and kindness. The motel is located not far away from Nelson bay, just a few minutes drive, the room is small but tidy and you can't expect too much as it's a motel. We enjoyed our stay and we had a good rest there. Appreciated. Very enjoyable. Tom, the owner of the Motel, was a pleasure to deal with and provided very useful information about the area.